Esta granja se localiza en Intag, Imbabura Ecuador, en el cantón de Cotacachi. La propiedad rural disfruta de hermosa vista a la montaña, jungle y al río, y esta situada en la sierra de Ecuador. El area total del lote es de 100,00 hectare (247,11 acre). This property is located in a beautiful rain forest area near the Natural springs resort of Nangulvi in the Intag province of Ecuador. 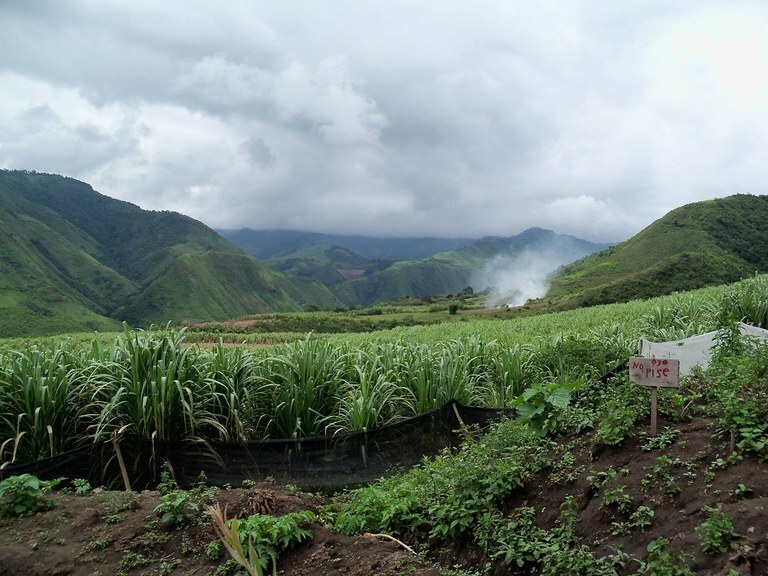 50 hectares majority with sugar cane growing on it, priced at $6,000 per hectare. 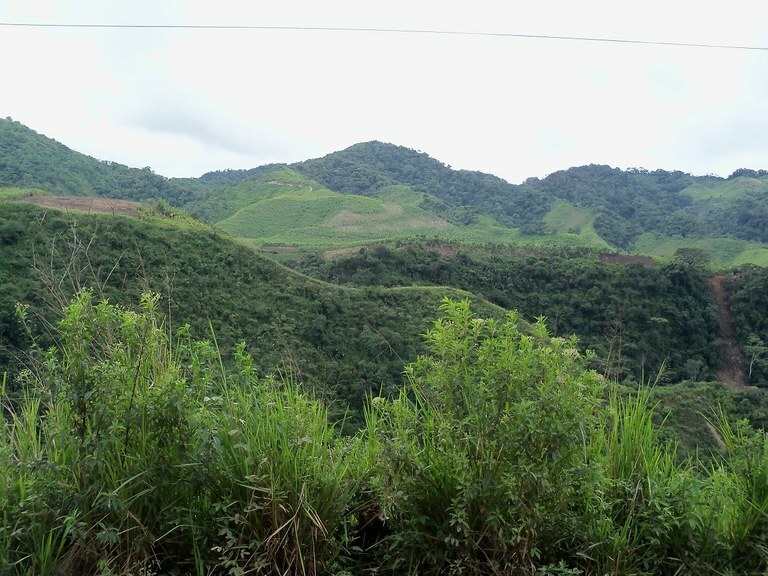 50 hectares are steep hillside, much of it is overgrown rain forest, priced at $1,000 per hectare. The property can be parceled in a number of ways. There are power lines and a number of natural springs on the property, and a river between the main road and the property. There is never a need to irrigate since rain fall is adequate year round to grow most anything. Temperatures mostly range from 65 to 85 degrees Fahrenheit. Currently it is about 2 hrs. drive from Cotacachi or Otavalo Ecuador. 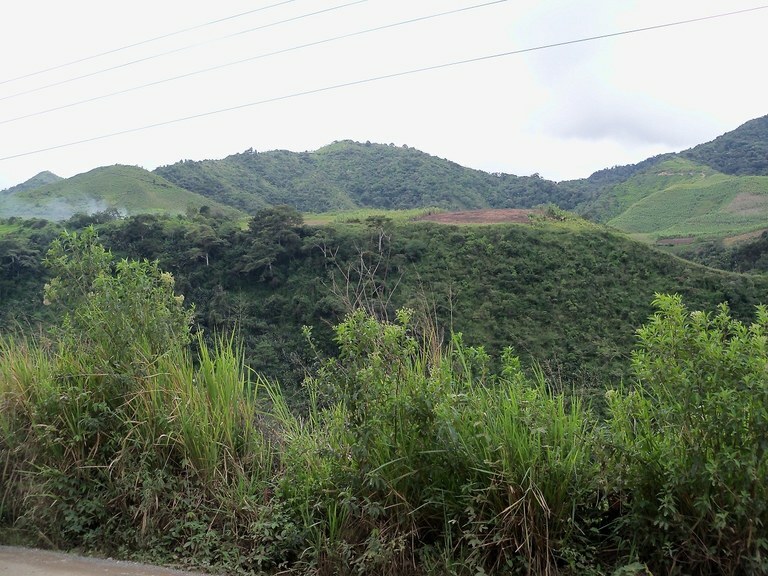 The main road is being paved with asphalt, estimation to completion is May or June 2015 cutting drive time to about an hour from Otavalo or Cotacachi. There is bus service from Otavalo.